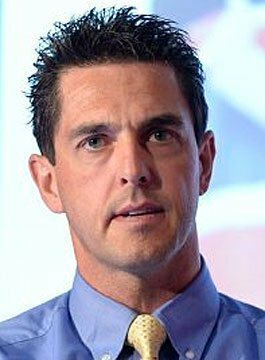 Mark Colbourne MBE is a London 2010 Paralympic Gold Medalist. Mark went through hell and back to reach his first Paralympic Games after breaking his back in a near fatal paragliding accident in May 2009. He was left with lower leg paralysis and foot drop in both feet. Mark fought for 12 months to learn to walk again with walking aids. In the summer of 2011 Mark Colbourne entered into his first summer of road and time trial racing for the GB Para-cycling Team. He raced in three P1 International events across Europe and came away with 3 podium placed medals and then went on to win a further 2 Silver medals in both Para-cycling World Cup races in Segovia and in Baie-Comeau. In February 2012, Colbourne won his very first cycling Gold medal for Great Britain on the track in Los Angeles claiming his first World Para-cycling Championship title. He also won a World Championship Silver medal in the blue ribbon event – the 1km individual time trial. Mark achieved these amazing results the very same week that he unfortunately lost his Dad to stomach cancer, showing his incredible mental strength of a man who can perform on the world stage, even when faced with unprecedented emotional pressures around him. In the summer of 2012, Mark won 2 Silver medals in the 10 mile Individual Road Time Trial event at both World Cup Para-cycling events in Rome and Segovia. These fantastic results and his incredible improvement coupled with his track World Championship Gold pedigree, placed him in the Paralympics GB team for the London 2012 Paralympics. At the London 2012 Paralympic Games, Colbourne won the first medal for Team GB with his well-deserved Silver medal on the track in the 1km Individual Time Trial. The very next day Mark broke the 3km Pursuit World Record twice in one day at the Velodrome. He annihilated the current world record by 7 seconds in the morning and then went on to beat it again by 0.2 seconds in the final on the same night. In what is his preferred event on the track, Mark went on to win the 3km pursuit and obtain his first Paralympic Gold medal. As a determined athlete Mark didn’t stop with his amazing haul of 2 medals at his first games, he then entered the 10 mile Individual Road Time Trial 5 days later winning a Silver medal. Mark Colbourne is an accomplished individual who after having to overcome adversity through a life changing accident had a dream of one day becoming a Paralympic Gold medalist and never for one moment gave up pursuing his dream. An articulate motivational speaker, Mark Colbourne has gained vast experience in making keynote speeches at corporate events and seminars across the UK. His motivating style and epic life story uplifts every audience and with his humble approach to life, he never fails to leave anyone inspired. Mark delivers his story from the heart and talks about the highs and lows of having a life changing experience and competing on the international stage at the London 2012 Paralympics. Mark can link the lessons he has learnt through sport to improving any aspect of your life or business. In a world where the smallest margins are the difference between winning and losing or living and dying, this man can explain what it takes to not only push our body and mind to their limits in order to achieve your dreams against all odds.